The course pointed me to look at three artists who make work which both creates and denies three dimensions at the same time and make notes on their work. Eames produces very interesting digital work. The series ‘Fires over Western Africa’ look like satellite images of the area of Africa, manipulated into straight lines, with the fire locations overlaid on top – basically using GIS (which I use in my day job) to make art. In a similar way to Rebecca Chesney she is keeping her wonder at the technology and using it to produce artistic work. It looks like Eames is more focused on making a finished artistic ‘product’ than Chesney is though. ‘Finalfusion_#1’ and ‘Ochestration_#3’. These drawings remind me of microscopic images of organisms, or cross sections of plants, imagery that interests me and I like the way she has produced these with interesting and varied mark-making. They use the layering of different images that she has also done with digital images, but the drawings work so much better for me. With the digital versions she has pixilated them heavily, perhaps to try to get some ‘mess’ into them, but they make them look out of focus and highlight their digital nature which puts me off (perhaps because I am trying to escape from computers in my art work?). As for the 3D nature of her work, it is primarily through her use of line she represents this. There is shading also, but it looks quite crude (i.e. not believable) digital shading. Very skilful paintings with intriguing subjects – floating people with no legs, or partially painted people such as a floating head in ‘Sleeper, 2008’. They appear to make no sense and so invite you to question what is happening and why they are depicted in this way. I like them, but I’m struggling to put my finger on why! Maybe it is because they appear traditional in the way they are painted, but not traditional in what they depict? Very interesting work. Looking at his 3D depiction, he skilfully depicts shadows in his paintings to represent the 3D surface, giving the images a very lifelike appearance. Jim Shaw’s images use a cartoon style of drawing/painting, and shading is often absent and the images very flat. When he does use shading, it is usually in blocks of colour and stylised. In general they leave me cold and I struggle to see any merit in them. The closest I can get to liking one would be ‘Four Men with Arms Raised #1, 2012’ in which I like the play on scale and the airbrushed lines. I don’t think I will be taking much from this artists work though. Artnet.com. (2018). Jim Shaw | artnet. [online] Available at: http://www.artnet.com/artists/jim-shaw/ [Accessed 22 May 2018]. Eames, A. (2018). Angela Eames | Artist | Drawing and Technology. [online] Angela Eames | Artist | Drawing and Technology. Available at: https://www.angelaeames.com [Accessed 22 May 2018]. Zeno-x.com. (2018). 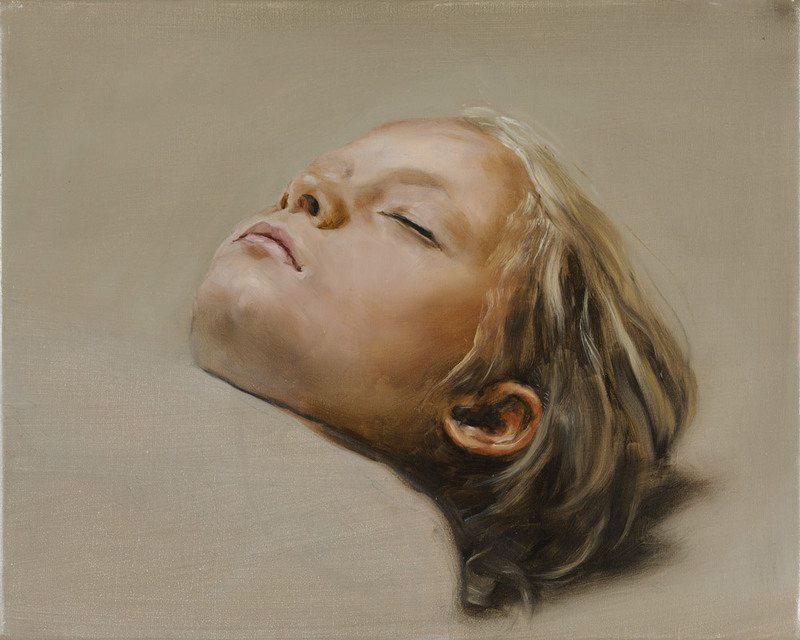 Zeno X Gallery – Michaël Borremans – Selected Works. [online] Available at: http://www.zeno-x.com/artists/MB/michael_borremans.html [Accessed 22 May 2018]. I stalled for a while at this point in a similar way to how I did when I hit an uninspiring section on the D1 course. I just need to remember that everything can be inspiring if you find the right angle! I was fortunate to go on a ‘Greening Arts Practice’ session which featured a talk by this artist. The theme for the session was about how we perceive land and how politics, ownership, management and commercial value all shape and impact on it. Rebecca’s work is all about discovering new information and sharing it with the public. The end product is a drawing, an exhibition, a leaflet, or a recording. She does not produce work to sell. Her work is very much a crossover between art and science and it is interesting to see how closely these two can align. ‘map. volume 1, coniston: grizedale arts, cumbria 2005 / 06’ is a particularly interesting project for me as this was using the kind of information I work with in my day job as a GIS officer. It was interesting to look at this project and examine what makes this art in comparison to the maps I might produce as part of my work. I think that as an artist she is delving into science and looking at the information in a new way, keeping her sense of wonder in what she discovers and trying to pass that on to the public. She is effectively taking the public on a journey with her, she is one step ahead of them, but not an expert. She talks to the experts and interprets the science for the public. She picks out the bits she wants to do and makes sure she keeps in mind that she is an artist and not a scientist. Her involvement brings a fresh pair of eyes to a subject. She looks into the issues which bring tension into the landscape and the challenge for her is in getting the message she wants to convey across in the artwork. In this work she highlights issues, but also hides them. If I’d produced a map of this in my day job, the boundaries would be clearer as to what they mean. Her work can’t be interpreted. It was fascinating to her Rebecca talk about her work and the discussions with her and the group afterwards were very interesting and thought provoking. Chesney, R. (2018). Rebecca Chesney. [online] Rebeccachesney.com. Available at: http://www.rebeccachesney.com/ [Accessed 22 May 2018].